Build a food animal program that addresses contemporary challenges and advances the health and productivity of the agricultural industry. Build a global health program that positively impacts our world through education and research. Expand relationships with strategic partners and our community that harness our unique strengths and resources. Food animal stakeholder surveys, research and education metrics. Achieve the strategic milestones of our Global Health Education initiative. Alumni engagement in continuing education, career development and College affairs. Development success during the Capital Campaign, including progress toward funding construction of our new Equine and Farm Animal Hospitals. 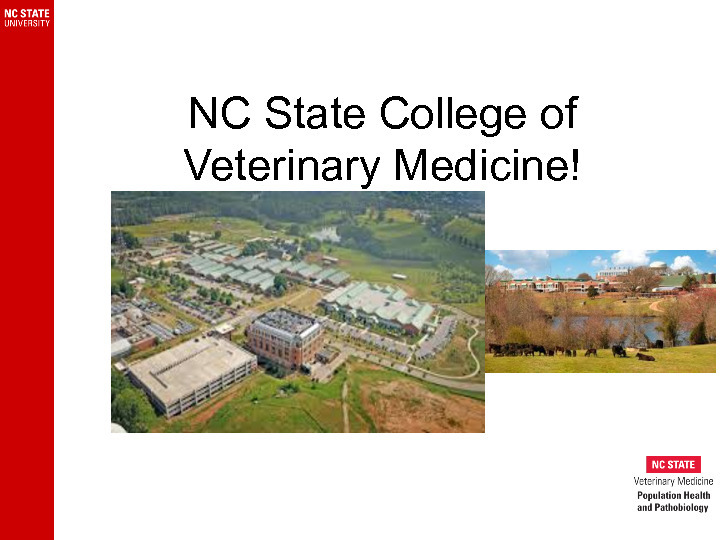 Integrate new hire (EOD May 2019) into the diagnostic laboratory and infection and immunity teaching rotation starting fall, 2019. Invite (and reciprocate) the Poultry Science faculty to attend the PHP monthly research lunches. Highlight the scholarship and symposia opportunities of the FAI to industry through targeted outreach. Arrange and hold the 2nd industry/commodity meetings with individual sectors to better understand their specific needs. 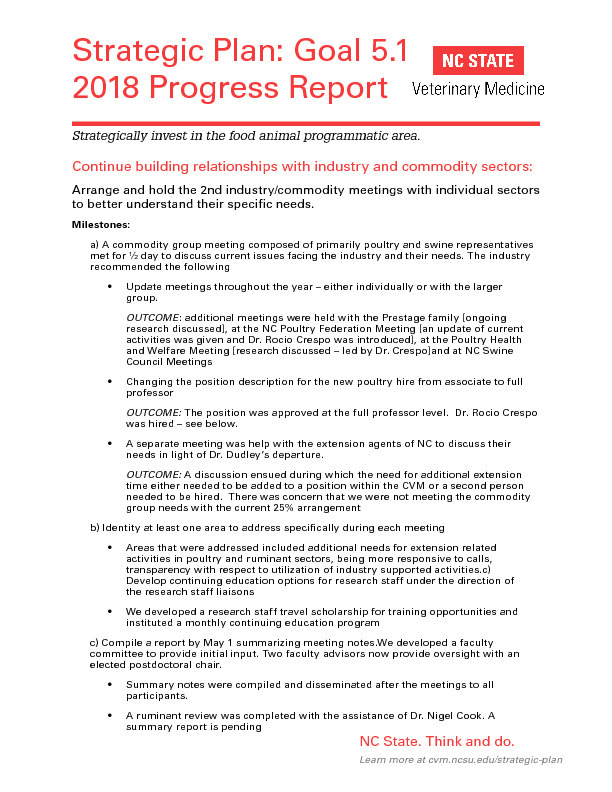 Compile a report by May 1 summarizing meeting notes. 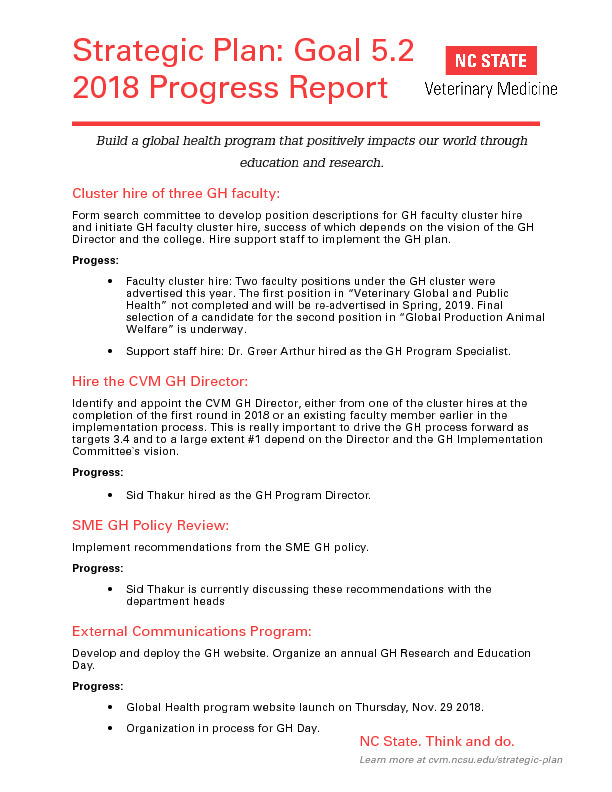 By February 2018, form search committee to develop position descriptions for GH faculty cluster hire. By March 2018, initiate search for GH faculty cluster hire. The completion of the search will be an organic process and much will depend on the Director and the college vision, availability of funding etc. Bringing on a support staff to facilitate the GH implementation plan is recommended. 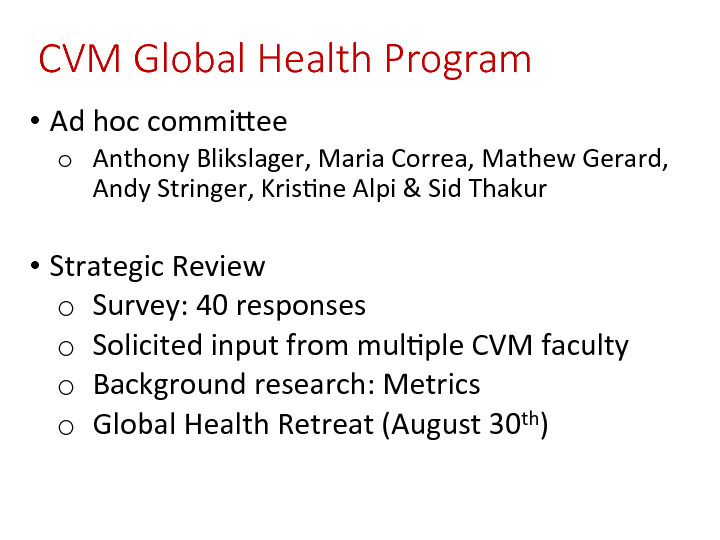 Identify and appoint the CVM GH Director, either from one of the cluster hires at the completion of the first round in 2018 or an existing faculty member earlier in the implementation process. This is really important to drive the GH process forward as targets 3.4 and to a large extent #1 depend on the Director and the GH Implementation Committee`s vision. By June 30, 2018, implement recommendations from the SME GH policy review. The college, department heads and the dean are aware of this and we request them to move forward immediately with the SME review for faculty who are interested in GH-related activities. The SME GH policy review has to happen fast and we don`t really need the Director appointed first to move this forward. By March 2018, develop and deploy initial (v1) GH Webpage presence. An updated (v2) GH Webpage presence post-cluster hire should be implemented within 1 month of completing the first cluster hire. We propose to organize an annual GH Research and Education Day during Fall Semester.